• 3x litres of tanning solution - pick any combination! We recommend Caribbean Indulgence and Electric Tan for those new to spray tanning, due to their darker guide colours (easier to apply). 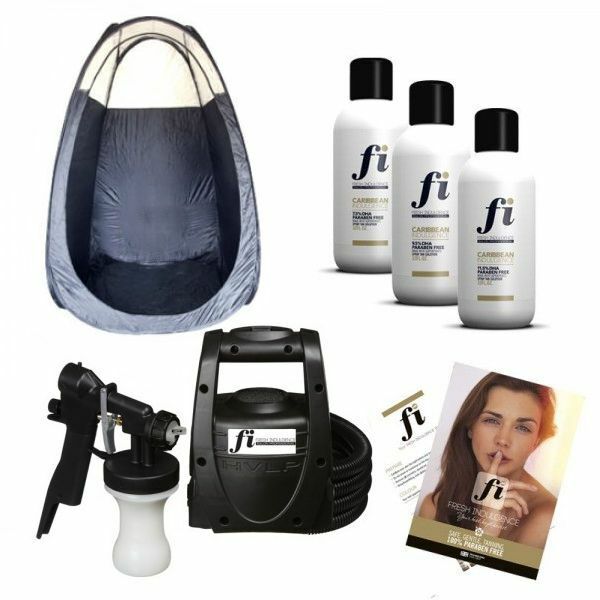 Three litres will give you about 60 tans, so at £15 per tan, that's approximately £900 of product included in this kit.